I’m a route setter, climber and coach. You may or may not have seen me around Climb Central, but I’ve been climbing close to 9 years now and I’ll be sharing my experiences as a climber in more upcoming posts! I’ll be talking about my recent trip in March to Hong Kong, the land of dim sum (even though I didn’t get to eat any). 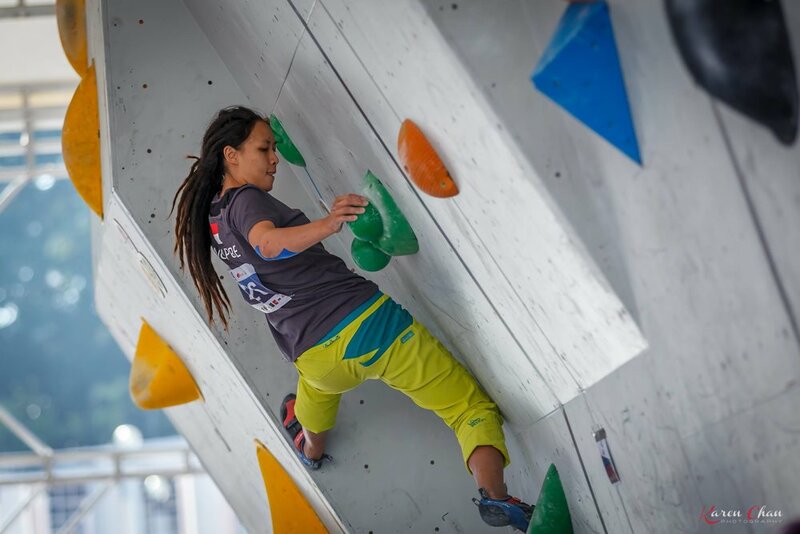 I took part in the Asian Cup (Bouldering), where I was privileged to represent Singapore. It was a great and fun event, where I got to catch up with friends and climbers from other countries. What I like about climbing and climbing competitions, is that even though we compete against each other, we are still friends at the end of the day and we celebrate each other’s achievements. I managed to get into semi-finals with a ranking of 13th for qualifiers and 11th during semi-finals. 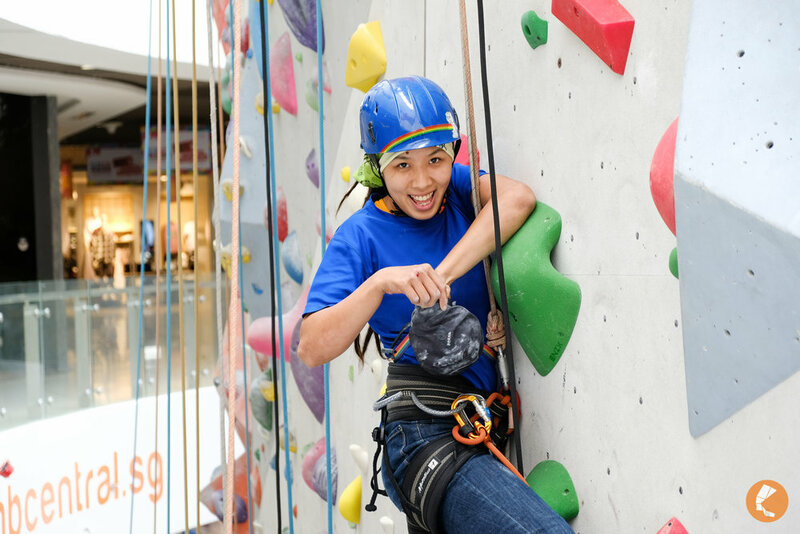 Props to the setters who arranged the routes in a way that we got to climb on all the different wall profiles. Now, to the highlight of my trip! Getting duped into climbing Lion Rock. Lion Rock is a mountain crag in Hong Kong. Someone told me that you could either hike all the way to the peak, or you can do a multi-pitch climb up. This was perfect for me! I hate hiking, and my cardio isn’t the best even though I’ve been running a lot more this year. So yeah, getting to the peak of Lion Rock without hiking? COUNT ME IN! I was introduced to Owen, a climber from Hong Kong I met during a climbing competition in Taiwan. I texted her the moment I knew about Lion Rock and told her to get me there! She introduced Ron, who became a great guide for a fun day of climbing at Lion Rock. What I wasn’t told, was that the base crag of the multi-pitch is almost three quarters the way up to the peak. So yes, I needed to hike, and it was gruelling. It killed my soul, energy, laughter.. everything. A piece of me was taken away as I walked every single step up to the base camp. Thanks to Ron who kept saying “5 minutes more”, and then, “10 minutes more” after the 5 minutes were up to keep me going. Guy sure is good at motivating people. we finally reached the base of the crag, with the sun shining on my back. I decided to take up a challenge from Ron to try the slab in my approach shoes even though I brought along my trusty pair of Evolv Addicts climbing shoes. It’ll be fun, he said. So I did it. I was shaking from the start of the slab route, hoping I don’t slip and destroy my already not so pretty face. It was interesting and fun to scramble up a multi-pitch in my Evolv Zender. We managed to get up to the peak with “ease” at the end of the day (minus the part where I shook my way up the slabs and cracks). The whole route was amazing, with a mix of slabs, crack climbing, and mini exposed overhanging routes. It was a great experience and the view was amazing. we still had to hike back down from the peak. And that, to me felt like the second crux of this climb. My legs were already jelly from crack climbing and the hike up to the base crag. So yeah, here’s a tip, do more “legs days” before going up Lion Rock. I love Hong Kong for the great outdoors. I also managed to visit Beacon Hill for some night climbing with Aya and Mei thanks to Karen. And thanks to Pei Shan for the intro! The skyline is amazing when you’re up on the rock. It’s also really different to see them Japanese climbers on the rock. Overall, a crazy great experience. 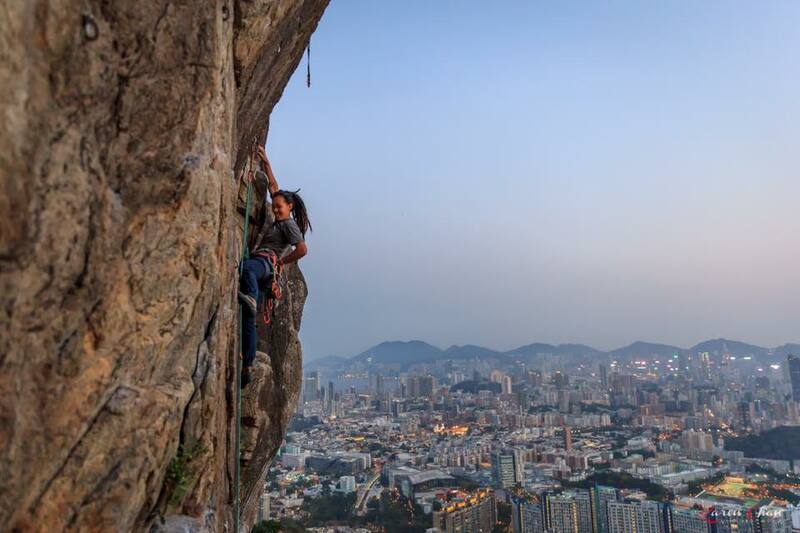 Would I go to Hong Kong for outdoor climbing again? Heck yeah! Perfect skyline, possible bubble tea/ dim sum/ whatever you want to eat after climbing. Thanks to Climb Central for making this trip possible, and Climb Asia for my climbing gear.